I am a fresh employee in Ennova Health Management, which is a Chinese company having positioned itself with the role of providing “preventive treatment” (treating diseases before their onset), and aiming to help people suffer less from diseases. 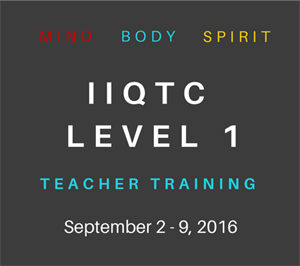 In last October, I got my first work task that is to help serve a group of special clients – 10 health enthusiasts from different cities in the United States. 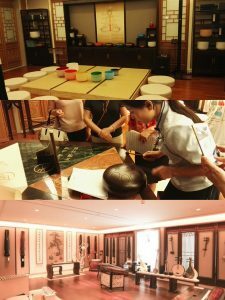 This experience left our company a deep impression, and we’d really appreciate their loving to TCM and traditional Chinese culture! 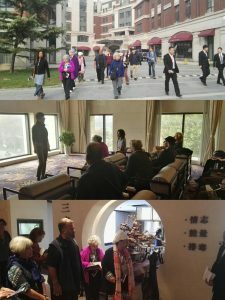 During the three days, the 10 health enthusiasts experienced many Traditional Chinese Medicine physiotherapy programs, for example, moxibustion, massage, Chinese medicine bath, acupuncture etc., in addition to quantum micro-magnetic, physique recognition through health mirror, herbal colon cleansing, physical examination and other healing items. 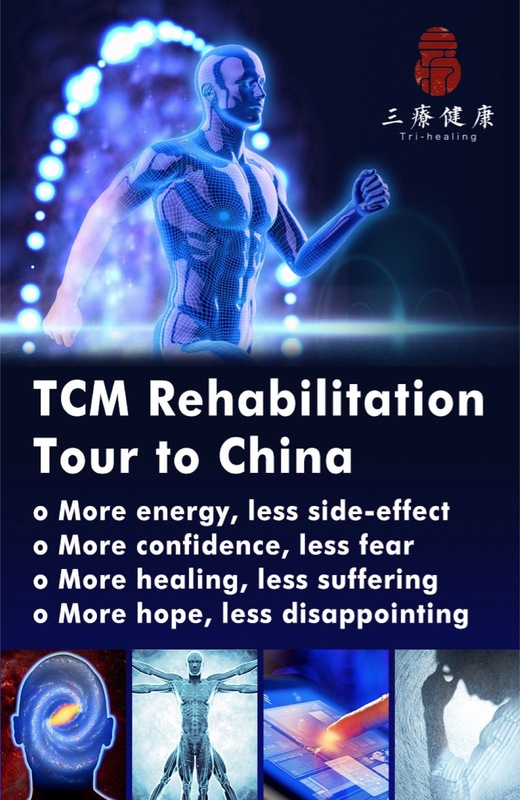 All of them received a comprehensive and systematic health and healing, which applies both internal and external therapies of TCM, combined with quantum medicine and other international cutting-edge technology. About 9:00pm on 24th of October, we picked up them in the high-speed railway station. On the way back to our hotel, we met some women dancing in the square, so we joint them happily. What an amazing experience it is! In the next morning, Jia Dexian, the general manager, on behalf of Ennova Health Management, gave a warm welcome for the arrival of the health group from US, and introduced the trip arrangements and service content, followed by the official start of health convalescence. 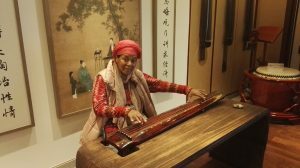 These 10 American friends show great loving to Chinese culture for years. 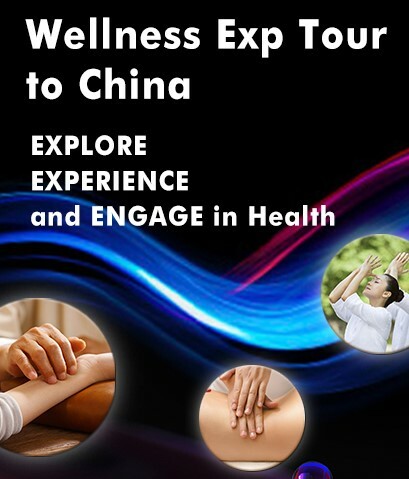 This is also a special trip to China to explore traditional Chinese medicine and health culture. Under the recommendation of a friend, they came to Ennova Health Management in Langfang of China. 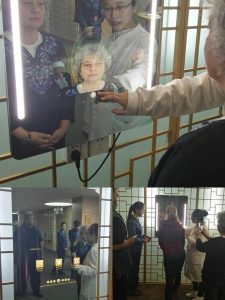 “How’s your appetite and sleeping quality lately?” “Please expose your wrist to me and I’ll take your pulse to check your physique status.” On the basis of physique identification through health mirror, the foreign friends experienced the pulse interrogation. 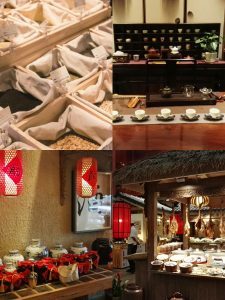 And Chinese medicine experts gave everyone a deep consultation in English against their personalized health problems, and everyone received some special TCM treatment and food recommendations. 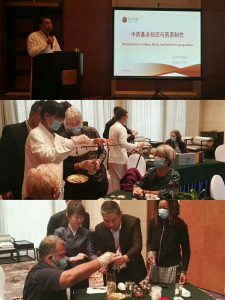 Experts in Ennova Health prepared a gluttonous feast of Chinese medicine knowledge. Chinese medicine course is a very important part that we arranged, such as “Introduction of TCM and Tri-healing Synopsis”, “Introduction of Traditional Chinese Herbal Medicine knowledge”, “Introduction of Human Meridian Point”, “the Basic Principles of Cupping Therapy”, “Neck-waist-leg Pain and Chinese Medicine Treatment”, every course gave a deep impression, in the meantime our foreign friends learnt a lot of TCM knowledge from which. 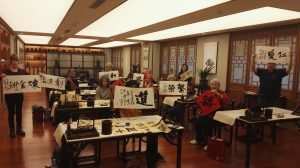 These American friends showed a great interest in the magic of Chinese medicine, marveling at the teacher’s knowledge for a long time, even unwilling to leave their seat. 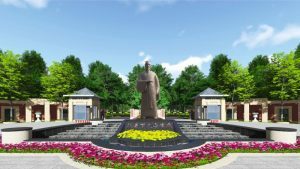 Maureen, from New York, even expressed her desire to become the long-term student of Wang Yanping, the distinguished TCM expert in Ennova Health, and she hoped that she can grasp most of Chinese medicine knowledge and take it to her hometown. Wang Yanping said that she was very happy to receive this American student, but also hoped that she can bring Chinese medicine to all over the world. Under the guidance of the physicians, according to the physical condition of each person, Ennova Health provided customized healing programs to each one. 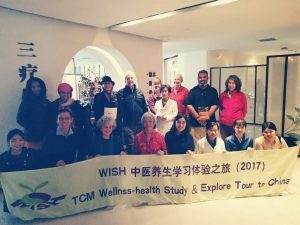 Health group from US also experienced moxibustion, acupuncture, bath, and all kinds of detoxification programs, and everyone praised the magic effect of TCM. Even Sharon wrote a special thanks card to one of our massage conditioner. 67-Year-old Barbara suffered from shoulder pain for a long time, after 40-minute professional conditioning by our expert, she finally was free from the shoulder pain, and showed great excitement and gratitude to the expert. 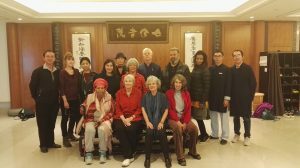 Not only experienced a variety of magical healing projects, this American group also gave a high evaluation on the beautiful and comfortable living environment, especially the daily meal they enjoyed in Ennova Health. 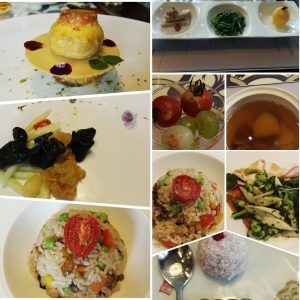 No matter health vegetarian meal in beautiful and elegant Suwen restaurant, traditional health hotpot, or Chinese-style “Qilu health cuisine”, are the enjoyment of health, nutrition and beauty. What’s more? 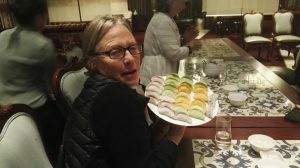 During the time, we arranged an interesting DIY activity for the foreign friends, which is making colorful dumplings in hand, leaving a deep impression and wonderful memory for both of us. On the 27th, the American group’s trip in Ennova Health came to the end. 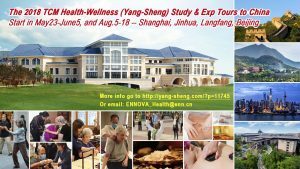 Many of them told me that they appreciated this chance to learn more about China’s health culture and hoped that Ennova Health Management can bring the traditional Chinese medicine culture to the world! I want to say, thank you for your appraise to us, we will try best to finish our mission “Let less people of the world become sick”. 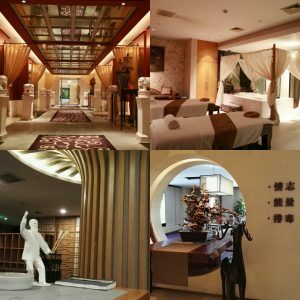 Ennova Health Management, which is a subsidiary of ENN group in China, featured by “Tri-healing” and “Seven Cultivation”, offers its guests with comprehensive health of body, mind and spirit. 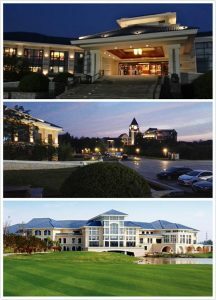 Tri-healing Health Center is aimed at “preventive treatment” (treating not-yet-occurred diseases), and take “Let less people of the world become sick” as its mission. the Center puts together a team of experts in Chinese and western medicine as leading core, uses a group of professional health managers as the link, and creatively developed “detoxification purification”, “energy ascension”, “sentiment grooming ” as the core of the tri-healing health management system, which provides the intelligent health-management solutions for the whole person, whole process, and whole health, so as to help the people restore the bodily balance, purification and the body-mind-spirit comprehensive health! Charming Ennova Health welcomes your visit! 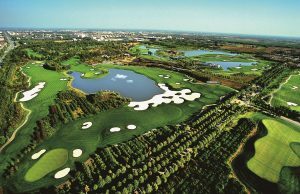 Address: Jinyuan road, economic and technical development zone of Langfang city,Hebei province, China. 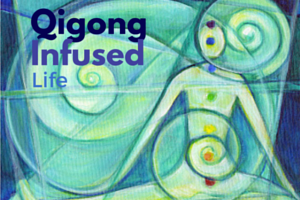 This entry was posted in Ancient Wisdom, East-West Perspectives. Bookmark the permalink.